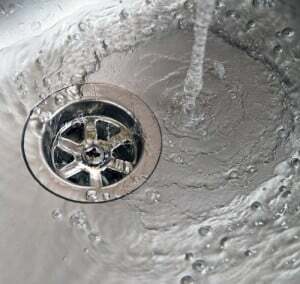 When most New Jersey homeowners think of a drain clog they think of bathroom or kitchen sinks. A clogged kitchen or bathroom sink is often a simple fix because the source of the clog is close to the drain. The toughest clogs, however, are often located much further down your drain, and affect much more than a single sink. Clogged sewer lines are serious plumbing issues that may cause extensive damage and expensive sewer line replacements if not diagnosed and fixed quickly. 1. Multiple, slow running drains. A simple clog like the ones often caused by build up in your kitchen or bathroom sinks will only affect the drain with the clog. A sewer line clog can affect multiple drains in your home, causing them all to drain slowly. 2. Drains that back up into your home. If you have a clogged sewer line, you may notice that water gurgles up out of your sink when you flush the toilet. You also notice raw sewage is backing up into your basement drain or tub. 3. Unusual noises coming from your toilet may be trying to tell you something. A toilet that suddenly begins to gurgle or make any unusual noises can be a sign of a much more serious clog in your sewer line. If you notice any of the signs that your have a clogged sewer line you should contact a licensed plumber as soon as possible. The sooner you can identify and fix a sewer line issue the better. For more tips on saving water at home, please visit our website or blog. If you live in our New Jersey service area and would like plumbing help, drain clearing or drain clearing services, please give A.J. Perri a call.